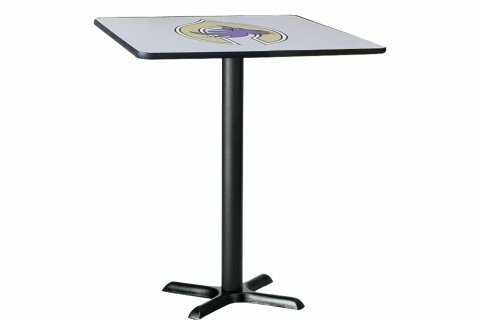 Whether you're adding tables to your present cafeteria or looking to fill a new one, Palmer-Hamilton's X-Leg bar tables are the perfect solution. 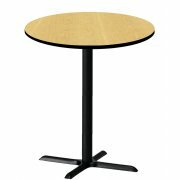 These free-standing bar tables offer you great style and superb durability that will serve your school or office for years to come. High-pressure laminate tabletops feature an exclusive EdgeGuard treatment that prevents chipping and is highly tamper and moisture-resistant. 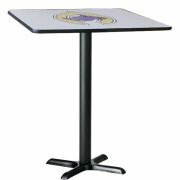 Bases are made of 16-gauge steel for superior strength and stability. Available in a great selection of sizes and laminates. Resistant: Exclusive resin composite EdgeGuard™ treatment eliminates unsanitary food traps, keeps edges sealed, prevents peeling/chipping and is highly tamper and moisture-resistant.